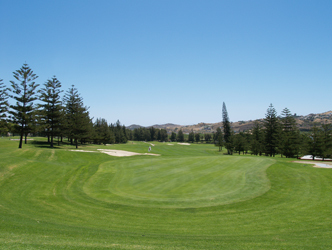 Mijas Lagos was the first course built at Mijas, it is the longer of the two with 6404 meters and it is named after its seven water hazards. Its greens are wide but countered and well protected bunkers. It could be said that the American designer wanted to present a course especially for amateurs, but at the same time, it can present a challenge for the best players. Deras ny renoverade bana, måste prova. För år 2013 har de två offerter. Spela 8 spelare och betala endast för 7 spelare. Spela andra rundan samma dag och betala endast 35 euros.